Here at Wigham Intensive we pride ourselves on our professional service, outstanding results, high pass rate and competitively low prices. 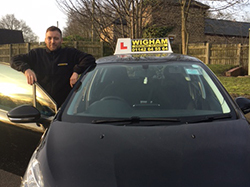 We provide a range of special driving lessons offers to the learner drivers of Sheffield and you can also receive significant discounts when block booking your lessons with us. Please see below for our current special offers, or contact us today for more information! All Our Prices Click here to see a full list of all of our prices. Book Now! Get in touch and book your lessons today.